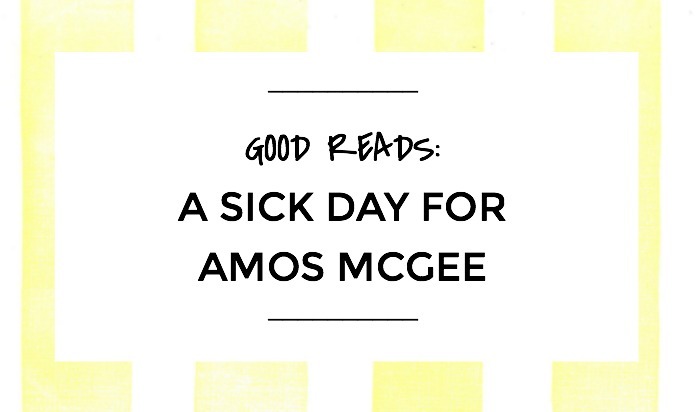 I’ve had several occasions to read A Sick Day for Amos McGee to different children. It has appeared more than once next to the bed in a stack of books as I visit homes as a temporary nanny. Written by Philip C. Stead and illustrated Erin E. Stead this charming little story won best illustrated children books of 2010 award from the New York Times. It also garnered a 2011 Caldecott Medal for illustrations. Since is publishing in 2010 it has appeared on favorite book lists all over the internet. 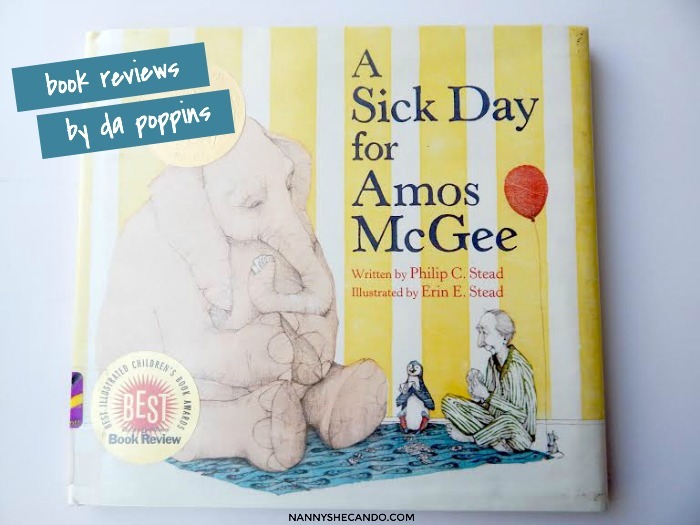 A Sick Day For Amos McGee is a very calm, low-key book, making it perfect for bedtime. Amos works at the zoo and always takes time out of his day to visit his special friends and share a moment that makes them both happy. As he visits each animal friend, a classic repetition list appears, with sentences sounding the same as the story unfolds. Interesting words are introduced on each page for younger children, as well as playful sentence structures to keep the reading from sounding monotone. The use of this technique makes Amos McGee feel like a familiar classic. I have to say, it felt like such an “old fashioned” book I had to check to see when it was published. There are no verbal gymnastics required to read this book. The punctuation is clear. The narrative unfolds like a dream. When Amos gets sick the animals return his kindnesses in the same list form , one after the other until the day is done. There is a lesson in this book, painted in words and pictures that both adults and children will receive. One plot point that stands out strongly is that Amos practices “child directed play”, spending time with each animal in a way that makes each animal feel most loved. When Amos doesn’t come to work one day, the animals all go to visit him, and each share their individual expression of love. Instead of dominating, the sweetly detailed illustrations add depth and description to every written page, creating a complementary balance between words and pictures. The illustrations are as low-key as the book, soothing yet interesting without fanfare or over stylization. One finds elements of personality in the animals and Amos on each page adding information to the story without adding word count. It’s no wonder that the illustrations blend so well with the writing, as Philip C. Stead and Erin E. Stead are a husband and wife team. A Sick Day For Amos McGee is the perfect book for bedtimes and quiet times. If your child seems frustrated by the lack of action, take a moment to pour over the pictures, asking questions about what the child sees, pointing out some of the unique details: the mouse waiting at the tiny bus stop, the activities of the penguins in the penguin pool, and where the red balloon goes at the end of the evening. Interaction with children while reading a book can create a special moment that kids will always remember, changing a seemingly hum-drum story into a beloved childhood classic. Not only do I take this book along with me in my Nanny bag to work, I would recommend it to parents looking for a great bedtime read. >>> Do you have a book that’s particularly good for bed times and quiet times? 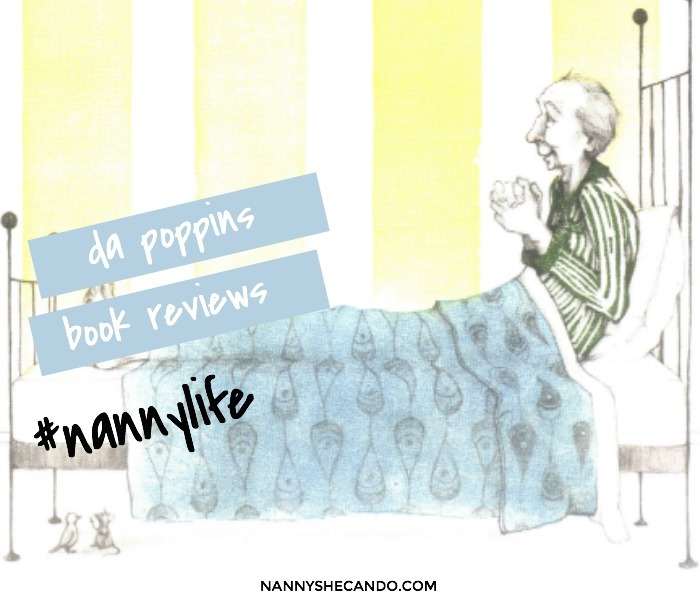 Da Poppins, is a career nanny based in Vancouver, Washington, a graduate of Northwest Nanny Institute and has over 20 years experience in the industry. Dana is an advocate for the benefit of reading and children’s literacy, a talented scrapbooker, and writes the blog Da Poppins.